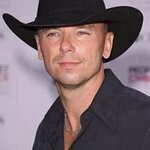 Kenny Chesney is one of many country music stars calling on help from his fans around the world to aid Nashville after floods devastated the Country Music Capital. “We need the world’s help right now and it’s just a really sad thing to see, especially people that you know and people that you love,” he told CNN. "I do feel the people in this town are a really tight community. It’s just sad to see it happen. “Yeah, you can give money to the American Red Cross and all that kind of stuff, but these people need toothbrushes, they need toothpaste. It’s not only touched music, it’s touched tourism, the sports industry, I mean so many things that it’s affected." Other stars to appeal for help include Reba McEntire, Dierks Bentley and Taylor Swift. You can donate directly to the Nashville Red Cross here.